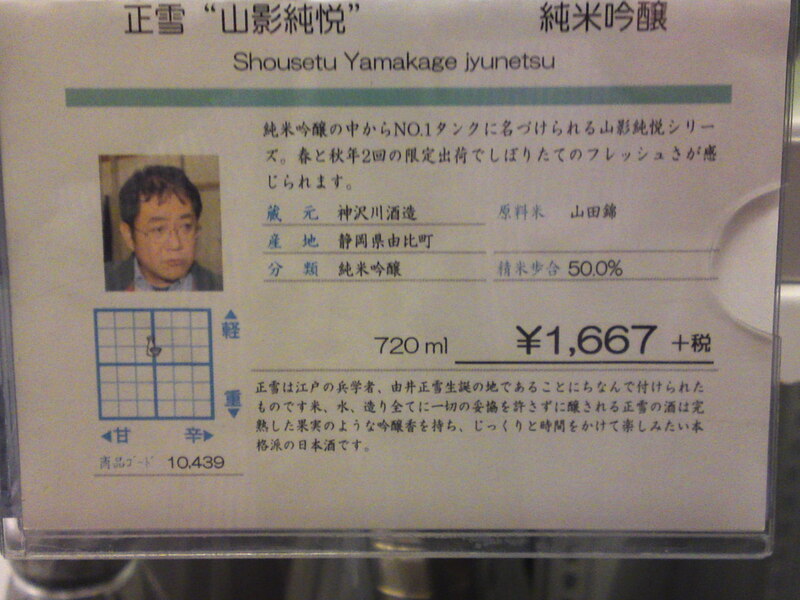 Kanzawagawa Brewery in Yui, Shimizu Ku, Shizuoka City does sometimes come with some interestingly named limited brews! 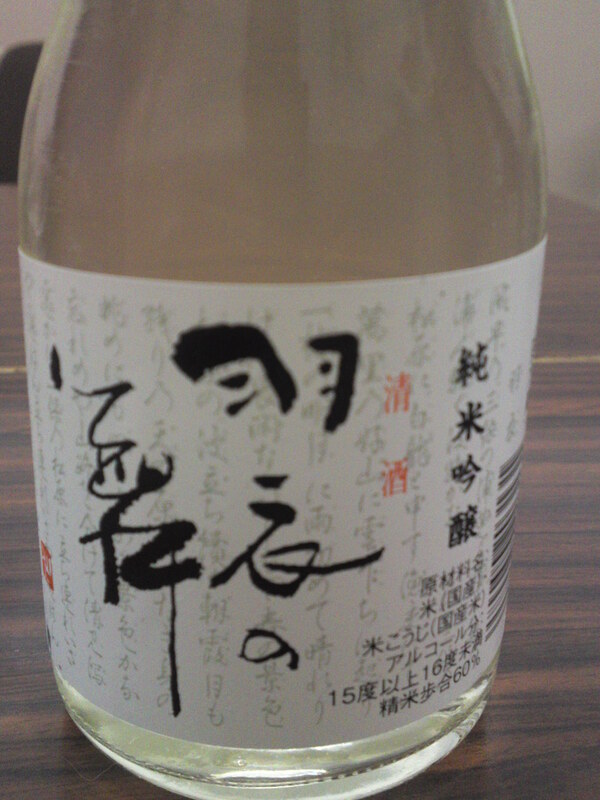 It is a Junmai Ginjo Nama. 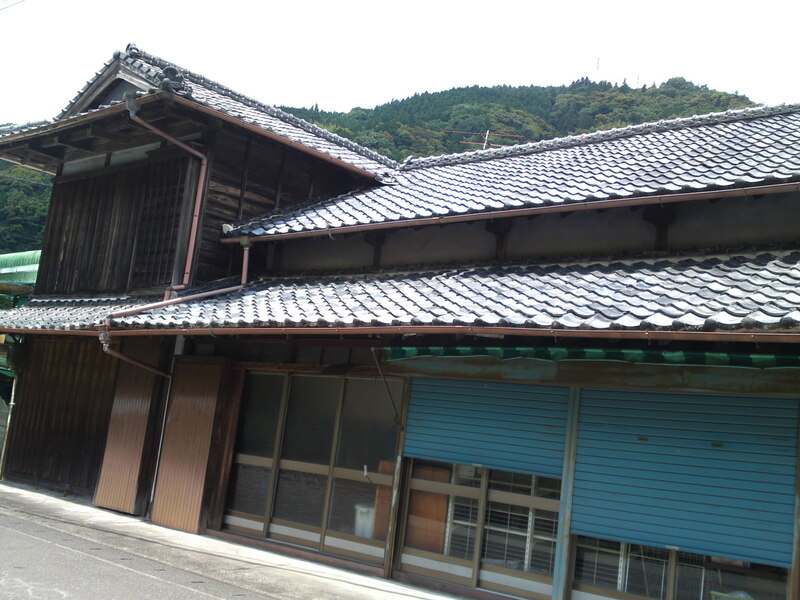 As for its name “Yamakage Jyunetsu” it is related to a famous military scholar of the Edo Period! Aroma: Dry and fruity: Cherries, apricots, pears. Pears, milk coffee, dark chocolate. Turns sweeter with food with coffee beans taking a bigger role. Very elegant and easy to drink. 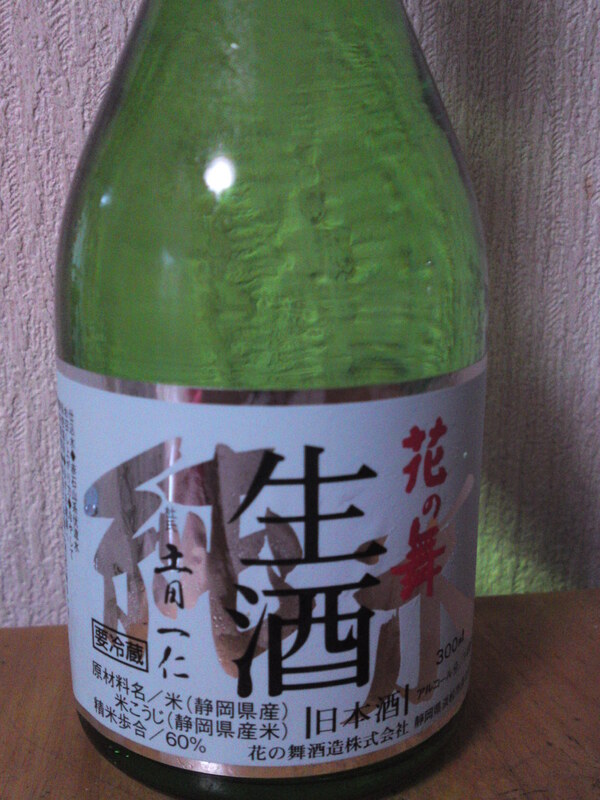 Overall: Beautiful sake fit for tasting sessions. Great balance in dryness and acidity. 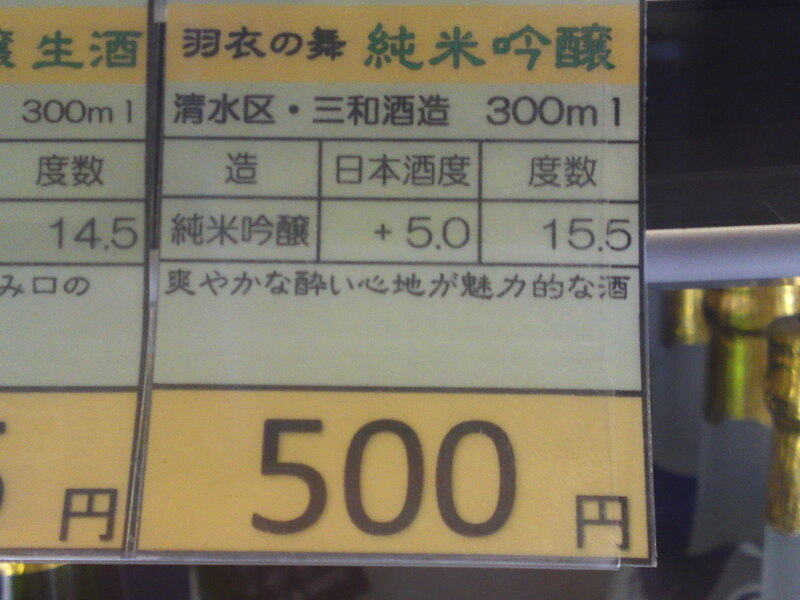 No wonder it is limited to one single tank! Makes for a superb reasonably-priced present! Sanwa Brewery in Shimizu Ku, Shizuoka City, has been producing this particular brand for quite a long time! It commemorates an old legend in Shimizu Ku, Hagoromo or Hagoromo no Mai, The Dance of the Sky Spirit Veil! 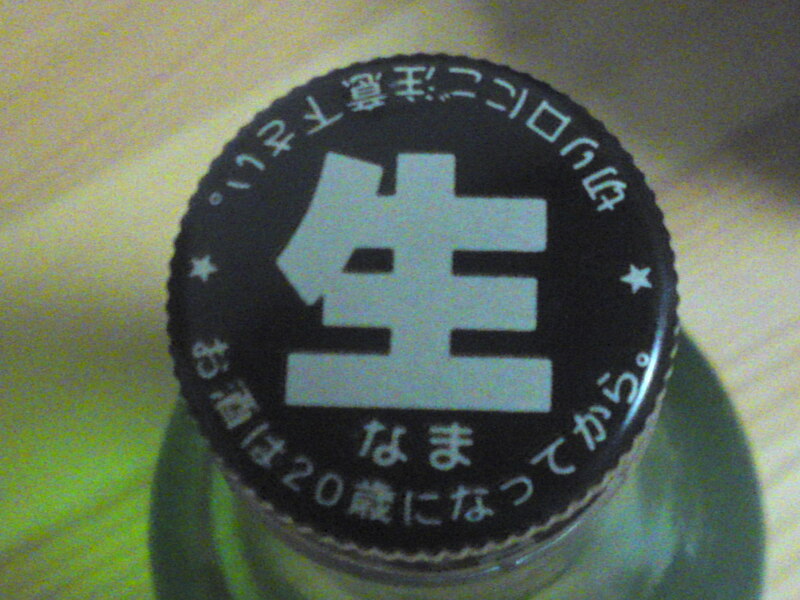 Mentioning “Junmai Ginjyo” on a cap is a bit unusual in Shizuoka Prefecture! 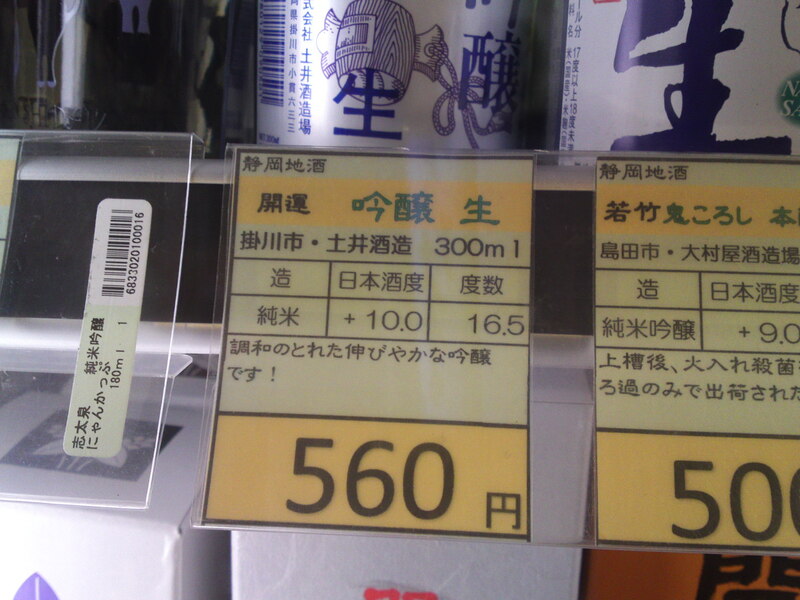 Even for a 300 ml bottle a Junmai Ginjyo is not that cheap! 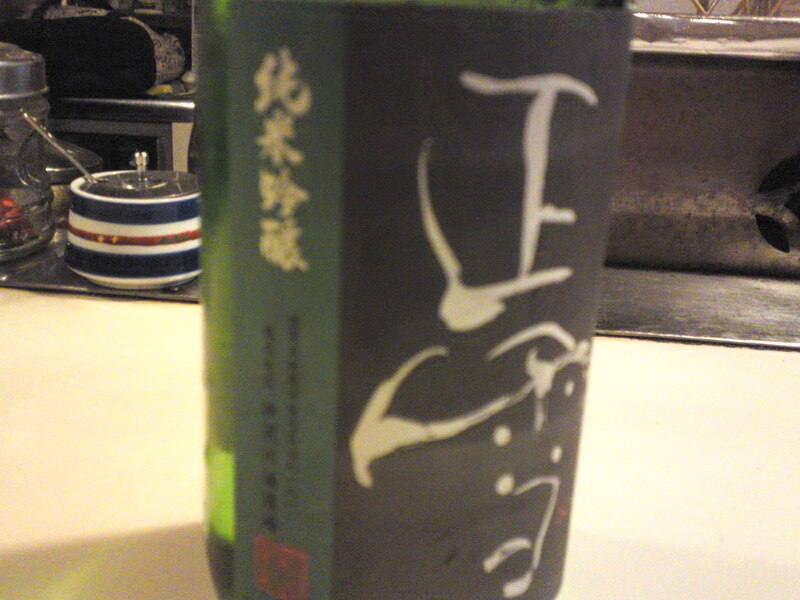 Taste: Dry and fruity attack back up by puissant junmai petiillant. Disappears fairly quickly with strong hints of banana and nuts. Very easy to drink in spite of its dryness. Takes a lighter turn with food with stronger hints of milk coffee and later of bananas. Even chilled shows many facets. 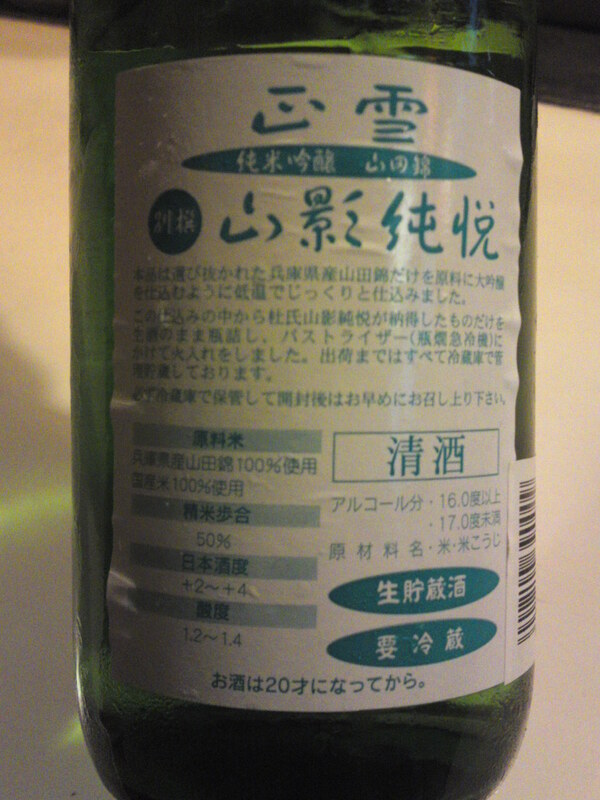 Overall: A very dry and fruity delicious sake one may enjoy chilled or at room temperature on its own or with food. Very eclectic in the sense that you can choose the occasion to savor it! Mind you, I would drink it on my own with some beautiful finger food! Actually I made a mistake on Facebook when I first announced I was preparing myself to drink it and Owner Brew Master Kazutaka Takashima was all around my neck. A figure of speech as he holds a judo 5th dan black belt! 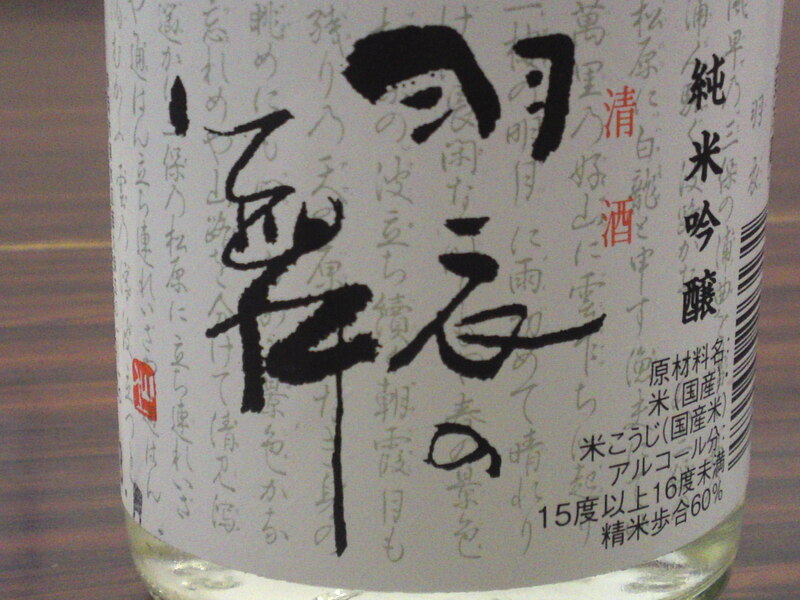 Would you believe it obtained a top accolade in Japan as a sake one should enjoy in a wine glass? 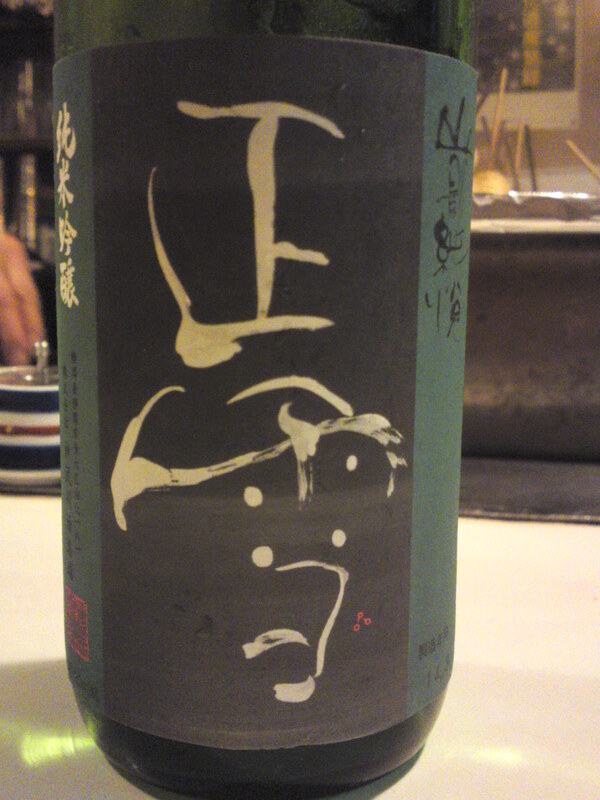 Taste: Sweetish and fruity attack backed by puissant junmai petillant. Disappears fairly quickly on a drier notes with hints of coffee beans, almonds, dark chocolate, cherries and oranges. Take a drier turn with food with the appearance of chestnuts and ranges. 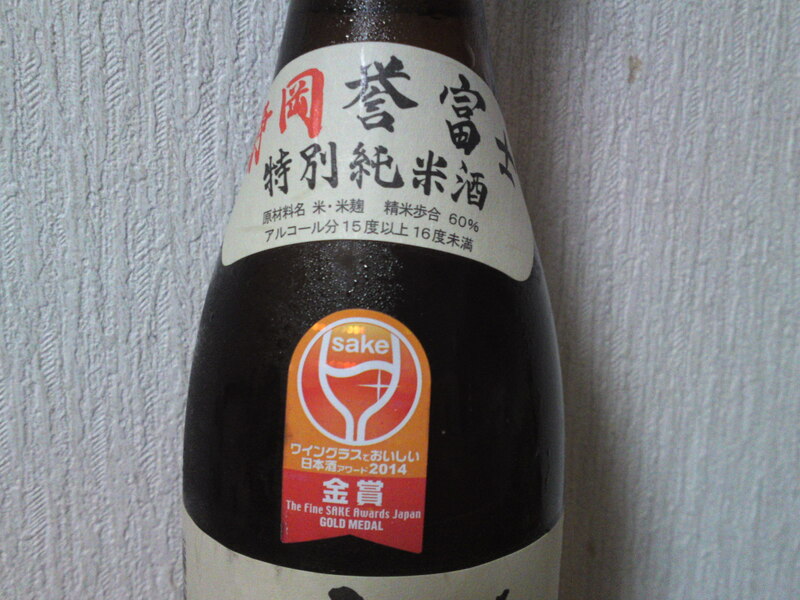 Overall: A splendid sake to enjoy with meals. Very complex. Contributes facets to the dishes shared with it. I personally enjoyed most at room temperature, although it would make for a splendid aperitif if chilled. But being what I am I would drink it with cheese or chocolate! bring it to a impress everyone! 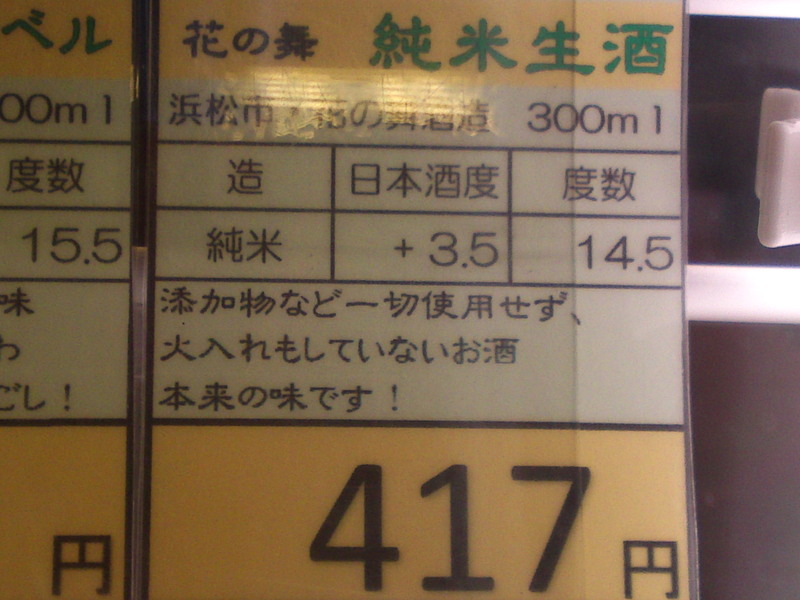 The Sign of the Sake Brewery that disappeared “Warausenryo” by Katsuyama Brewery in Shizuoka City! 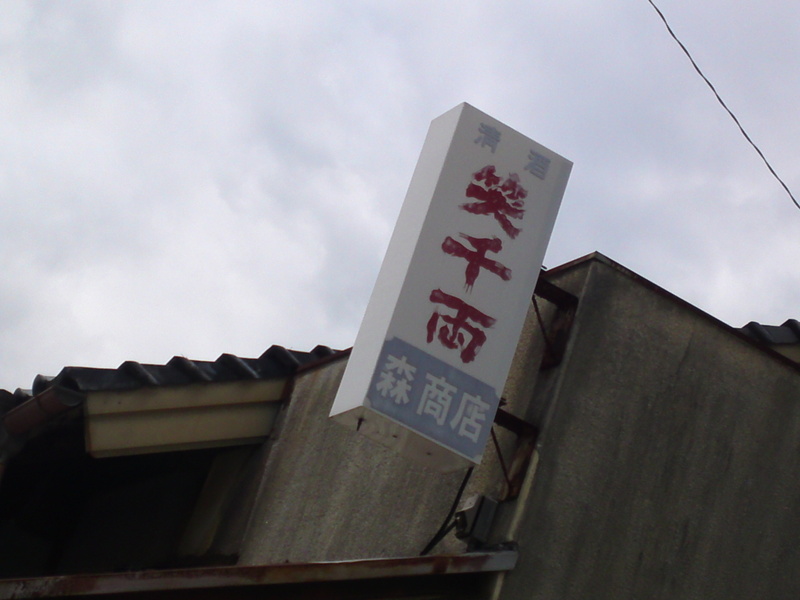 I was cycling yesterday along the River Warashina in Aoi Ku, Shizuoka City, when I espied a sake ensign above me! 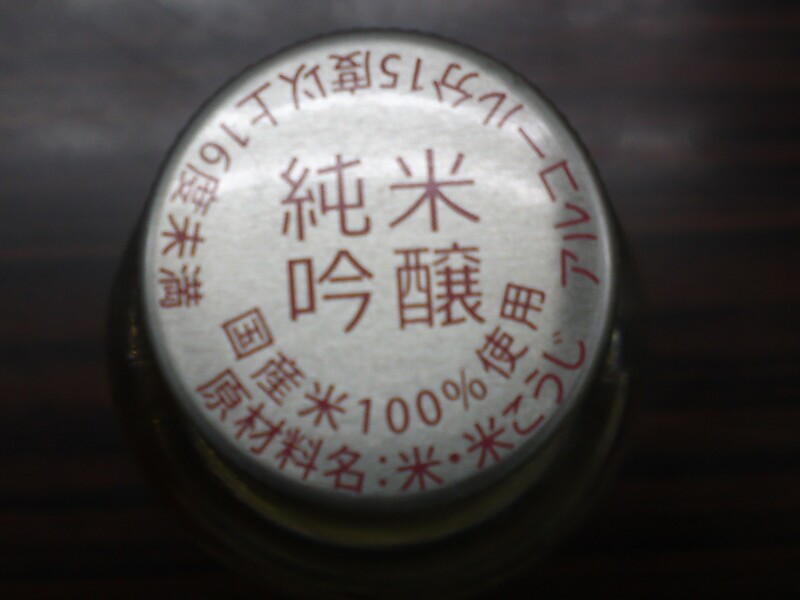 It has attracted my eyes because I knew the name of the skae brand: “”Warausenryou/笑千両/The laughng 1,000 Ryou”! Ryou was a very high currency denomination or gold coin in old Japan! 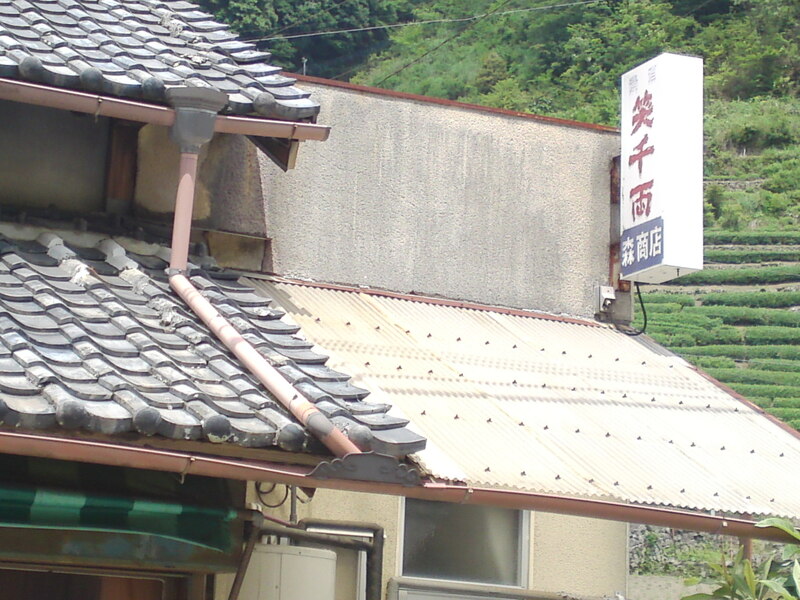 it was fixed on the roof of a liquor shop called Mori Saketen, which seemed really old last in Kiyozawa area up in the mountains but was still on business! 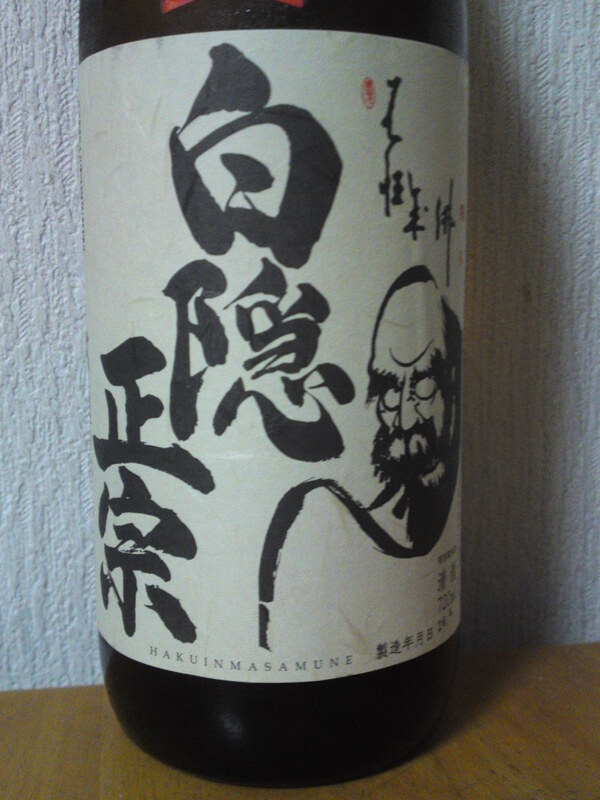 “Warausenryou” used to be the main sake brand of Katsuyama brewery in Shizuoka City which definitely closed in 1994! 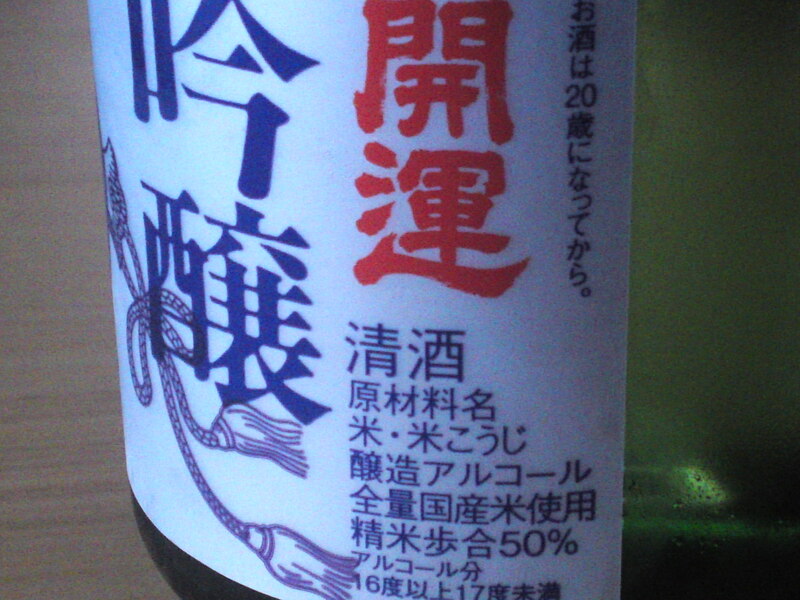 This time the 300ml bottle series goes to Haginishiki Brewery in Shizuoka City, Suruga Ku! This particular design is actually a classic of this brewery! 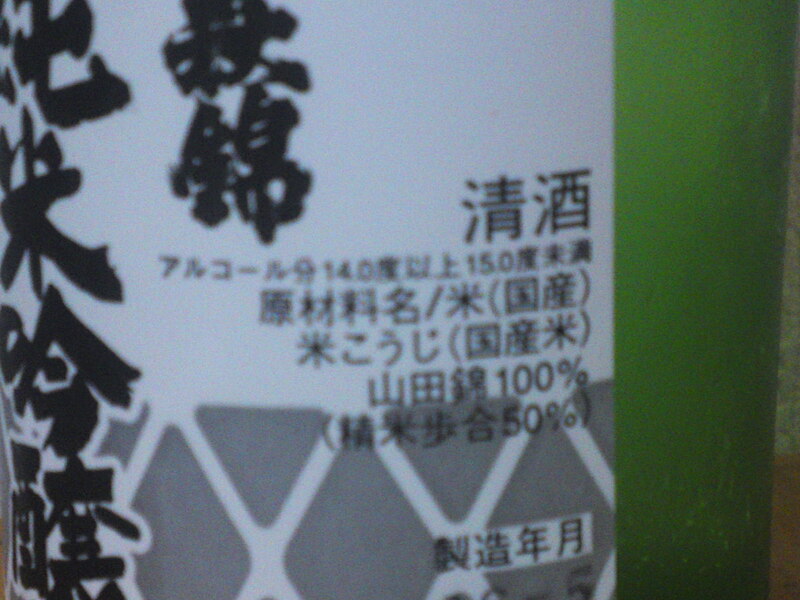 Although it is not announced on the label, it is a nama/unpasteurized as indicated on the cap! 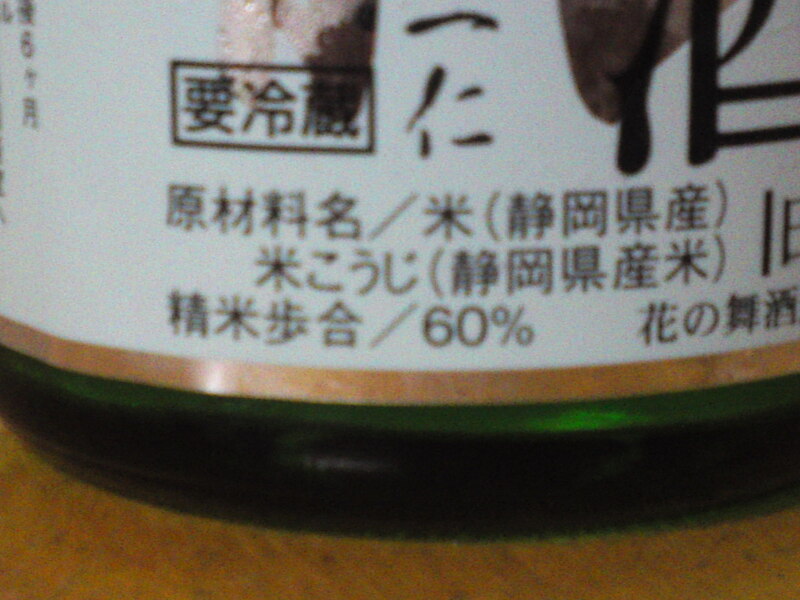 Taste: Sweetish and fruity attack with only a little junmai petillant. Complex. Banana, custards, macadamia, melon, cherries, cherry blossoms. Disappears quickly enough warming up back of the palate on a drier note. Junmai petillant much later with appearance of coffee beans. Turns sweeter and more flora with food with hints of melon and coffee beans. 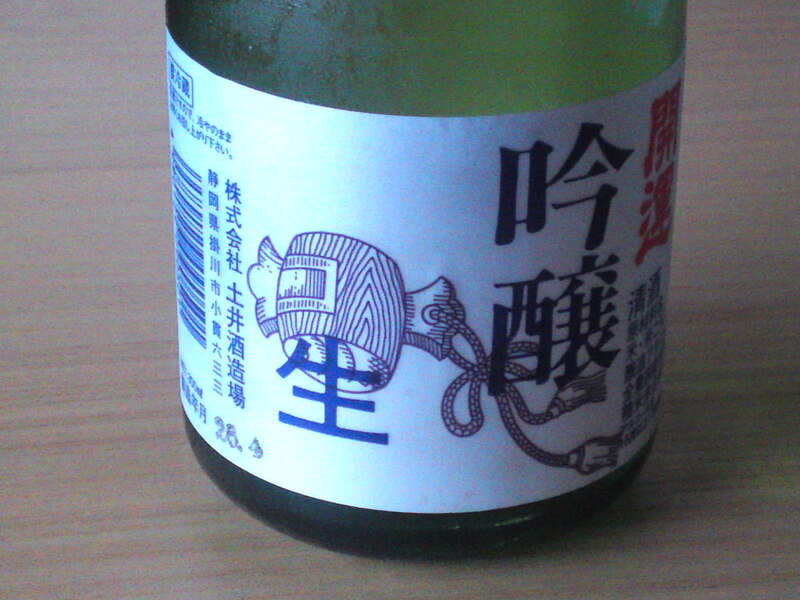 Overall: A very elegant sake rarely found in such a small bottle. Keep some for a late chilled night cap on the verandah by night! 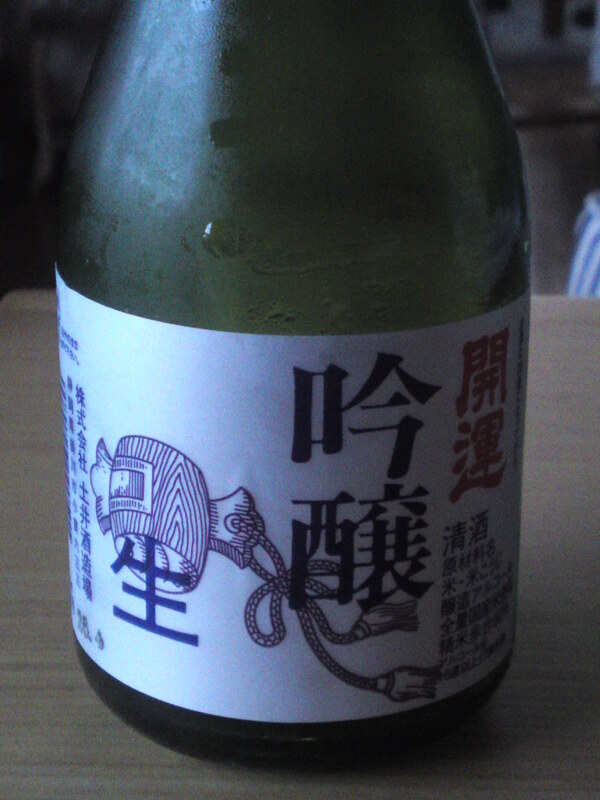 A sake to be shared with special company!